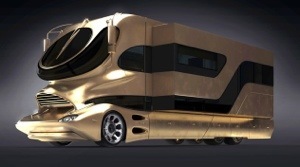 World’s most expensive motorhome: The £2m mega caravan made from solid gold with its own roof terrace. The space-age eleMMent Palazzo comes with an enormous master bedroom, 40-inch TV, fireplace and even a rooftop terrace. 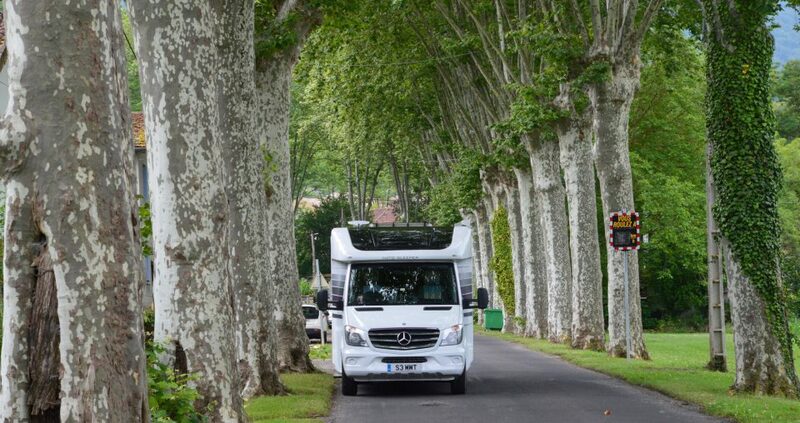 It’s certainly not the average travelling home you’d find at the Caravan Club. This extravagant caravan, a 430ft solid gold monster, is the world’s most expensive motorhome – and it’ll set you back an eye-watering £2 million. And the luxury mod-cons don’t end there. The press of a button transforms the motorhome into a ‘Sky Lounge’ complete with pop-up cocktail bar, underfloor heating and marble lighting.